Hi! My name is Kelly Janes. 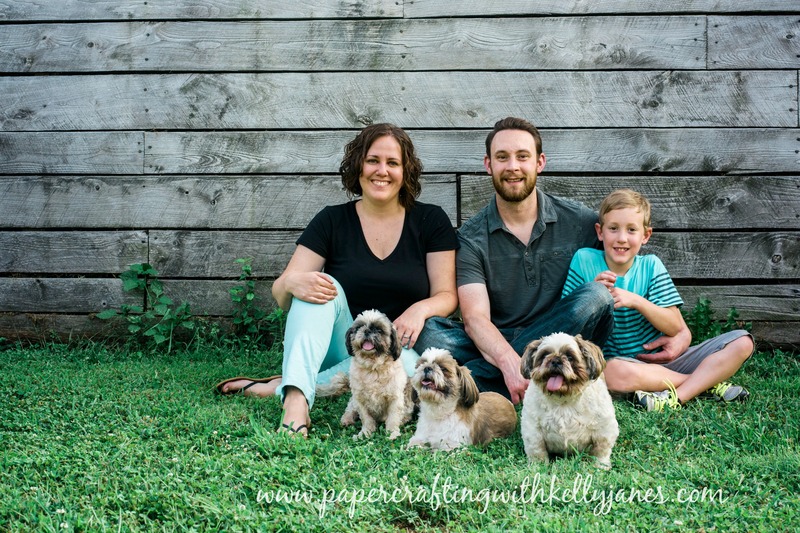 I live in Northern Indiana with my husband (Andy) of 12 years, our son (Aidan) and our fur babies. I work full time outside the home as an Ortho Clinic Tech, but during any free time you will find me in my craft room. In 2013 my favorite scrapbook store closed and that is when I started looking online for crafting inspiration. After overcoming a little fear and anxiety, I decided to start my own blog. I am passionate about the creative process of scrapbooking and I love learning new techniques! I enjoy traditional scrapbooking, card making, mini albums, stamping, mixed media, and occasionally I’ll toss in digital/hybrid scrapbooking. 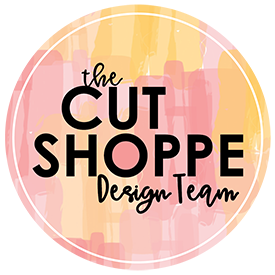 I’m currently designing for The Cut Shoppe and have also designed for Hip Kit Club. I’m the mom of a micro-preemie. I could eat guacamole every day. No joke! I prefer cold, rainy days over warm, sunny days. I’ve worked at the same dental office since I graduated college 14 years ago. I scrapbook for the creative outlet. Documenting our memories is just a great bonus! I collect coffee mugs from local potters. In fact, we have 3 kitchen cabinets full of coffee mugs. I’ve known my husband since we were little kids, age 6 or so, but we didn’t start dating until right after we graduated high school. You probably guessed after reading #06 that I’m addicted to coffee. Iced or hot. I love them both. I prefer watching a TV show over watching a movie. (and when I say watching a TV show, I really mean binge watching an entire TV series… HELLO NETFLIX & HULU!) << I’m currently binge watching Dawson’s Creek and America’s Next Top Model. Pretty Little Liars is another fave! Don’t judge! HA! I also enjoy weather documentaries. My very first job was washing cars at a car dealership. I love your work! Recently bought the Ho Ho Ho cut file from the Cut Shoppe after seeing your page. However, when I released the compound path and tried to delete the inner cut lies so that the words would be thicker I was only able to move some of the stars. I know you use a Cricut but if possible, could you tell me how to edit the file on my Silhouette. THanks and, again, I love your work.